Well, tonight’s dinner started out with the intent on being Chicken Lasagna Roll Ups. Then, it was dinner making time and I realized that I only had “oven ready” lasagna noodles. I had bought them before because they are magnificent! No boil, just layer those puppies in with the lasagna and you are good to go. I’m talkin STRAIGHT FROM THE BOX, PEOPLE! Well, I had never tried to actually boil them and because you need to boil the actual lasagna noodles in order to make them pliable enough to make the rolls, I was in deep doggy doo doo! *SIDE BAR: Anybody know whether or not you can actually boil these things? I only had enough for the actual lasagna with none to spare, so I was terrified to take that chance. Help a girl out, if ya know! Instead, I decided to make my own version of Chicken Lasagna and prayed it turned out ok.
*TIP: I prepared this meal earlier in the day and just put it in the oven when I was ready! • 12 lasagna (OVEN READY) noodles, you may need more depending on how big noodles are. Make sure you make a layer each time. • To prepare sauce: Add first six ingredients to a medium size sauce pan. Season with the salt and pepper and bring to a slight boil on medium high heat. Reduce heat, cover and simmer for 30 minutes, stirring occasionally. • Meanwhile, to prepare filling: Combine ricotta, 3/4 cup of mozzarella cheese, 1/4 cup of parmesan cheese, salt, pepper, and oregano in a bowl. Mix until well incorporated and set aside. • In a 13 x9 in. pan, spread about 1 – 1 1/2 cup of sauce on bottom of pan. (just enough to really coat the bottom of pan). Then, top sauce with enough lasagna noodles to make a layer. *This could take 3-5 noodles depending on your noodles. I ended up using 5 on each layer. • Top noodles with half of spinach. • Crumble/Spread half of ricotta cheese mix over spinach. • Spread half of shredded chicken on top of mixture. • Repeat layers once more. *You may need to press down on layers as you go in case lasagna gets too full. • End with one last layer of lasagna noodles on top. • Spread remaining sauce over top of noodles. • Sprinkle with remaining 3/4 cup of shredded mozzarella and 1/4 cup grated parmesan. • Cover with aluminum foil that has been sprayed with non stick cooking spray (to prevent foil from sticking to lasagna). • Bake, covered with the foil for 50 minutes. • Remove foil, and bake for an additional 5-10 minutes until cheese is golden brown. • Remove lasagna from oven and allow to cool and set for 5-10 minutes. I love smoothies! They are yummy and sweet and best of all, GOOD FOR YOU! Goulishly Good For You, that is! *Pretty sure that’s a word? You can use any kind of blender, but recently, I bought a Blendtec and I haven’t regretted it for one second! This thing makes a mean smoothie, amongst other things. I took a couple handfuls of fresh spinach, 1 kiwi, 1/2 cup fresh blueberries, 1 apple (sliced into wedges), 1 whole banana (peeled of course), and 1 1/2 cups water. Then I tossed all the ingredients into the blender, secured the lid and pressed the smoothie button. *For a regular blender, just blend until completely smooth. I should also mention that I like my smoothies more on the thinner side so that they are easier to drink. If you prefer yours on the thicker side, I would use a little less water. You could also add some ice cubes to the smoothie as well to have a thicker consistency. In the end, you are left with a great energy boosting drink that has loads of fiber and vitamins. Did I mention that my children would probably sell me to the highest bidder for one of these drinks? They love it! They have absolutely no idea that it is so good for them. It’s a good thing that they can’t taste everything in the smoothies. It would just be too awkward to explain things after the neighbor’s cat went missing……. Yeah, Z didn’t get it either. Guess I’ll have to work on my jokes. I really want to utilize my time and be more productive during the day. I have all these wish lists of things I want to accomplish. Like for instance, simplifying MY LIFE! LOL! That will always be #1 and most important on my list. However, I will probably NEVER accomplish it……. and I’m ok with that……… most of the time. One thing I can probably, maybe, sort of do that with is dinner. You always hear about 30 minute meals and while some of them are good…… others are GREAT! I happened to find one of those the other night when I was scouring the internet for some culinary inspiration. 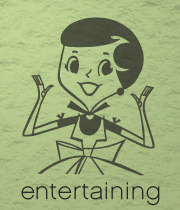 I ended up finding this one on my Calendar site I use, www.cozi.com. It was SOOOOOOO good! The best part was that my kids gobbled it up and my little one didn’t even realize that there was Spinach in it! It’s so nice to only mess up one pan when cooking and not a million bajillion (is that a word?) of them. I honestly do not know how my fingers do not shrivel up and wither away from all the pots and pans I wash???? You MUST give this one a try! 8 ounces orzo pasta, dried (1 cup) – try whole wheat if you can find it! Sprinkle salt into a 10 to 12 inch frying pan over medium-high heat. Crumble beef into pan and cook, stirring often, until meat begins to brown, 3 to 5 minutes. Reduce heat to medium, stir in onion, and continue to cook, stirring, until onion is soft but not brown, about 5 minutes. Drain grease from meat in a colander and return to pan. Add garlic, tomatoes (break them up with a spoon) and their liquid, broth, oregano, and pepper. Bring mixture to a boil then stir in pasta. Reduce heat, cover and simmer gently until pasta is tender to bite, 10 to 12 minutes. Meanwhile, squeeze as much liquid as possible from spinach. Stir spinach into pasta mixture just until heated through. Serve with cheese to add to taste. *By the way, if you like a spicy kick, do what my hubby and I do and add cayenne pepper to yours!